New from Gainsborough is a range of upmarket high count pocket spring beds that offer high levels of quality that can challenge Hypnos and Harrison in both quality and value for money. This model is called Redbridge and offers 3000 Pocket spring Count in a king size mattress in either comfort ( medium) or Firmer tension along with luxurious layers Cotton, Silk and wool fillings as well as a luxury belgian damask cover that benefits from 2 rows of genuine hand side stitching for edge to edge support. 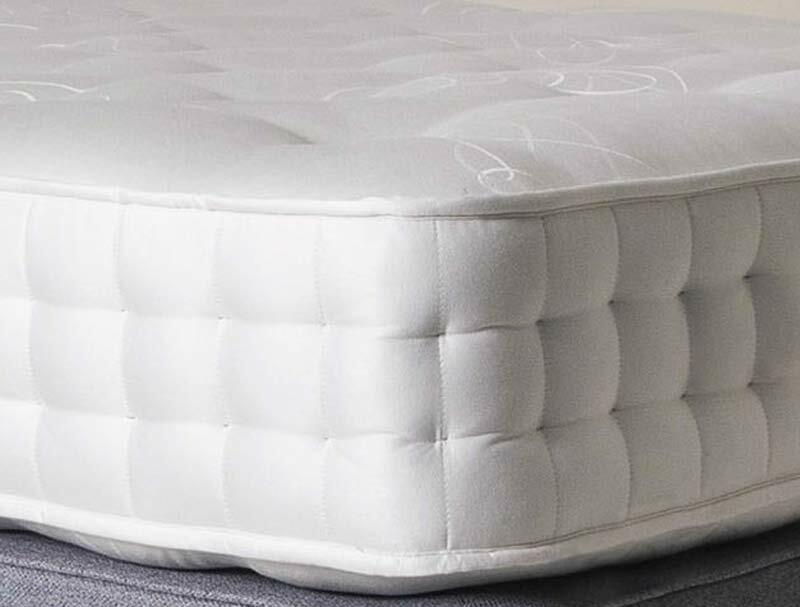 This mattress like all in this range is fully turnable and has 4 handles to help with This mattress offers great value for money and a product that you do not have to live in Chelsea to afford.